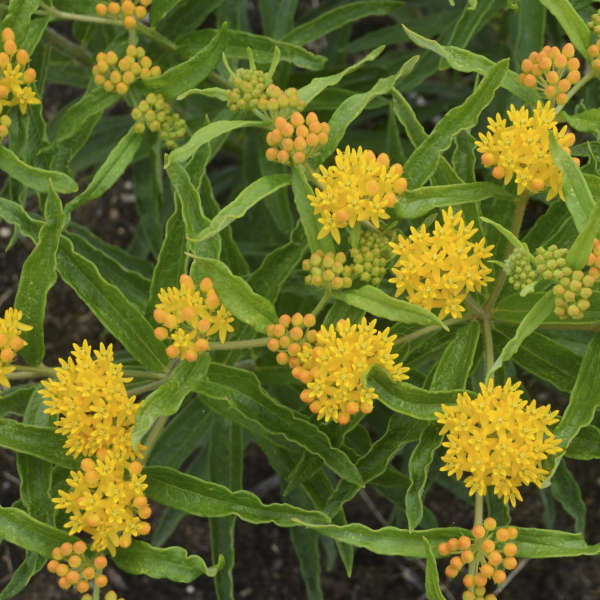 Asclepias tuberosa 'Blonde Bombshell' PPAF | Walters Gardens, Inc.
Asclepias tuberosa is a classic native perennial that's popular because of its rugged habit, bright flowers, and the ability to attract pollinators. 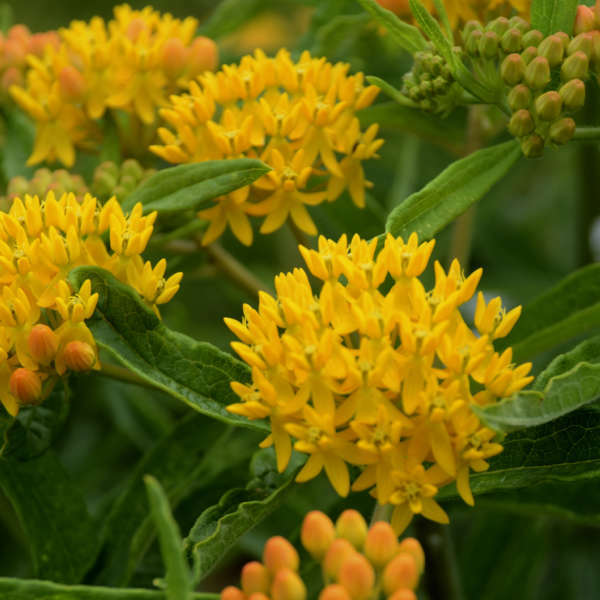 'Blonde Bombshell' is a yellow flowering clone selected from a field of Asclepias tuberosa. This variety has an improved habit and uniform color from what you'd expect from variations in a seed strain. Incredibly dark foliage holds golden yellow flowers that radiate down the habit for an extremely long season of bloom. Plant this refined selection and get ready to see butterflies! Following the fabulous flowers, green fruits develop which rupture to reveal seeds with long, silvery-white, silky hairs reminiscent of its cousin, common milkweed. 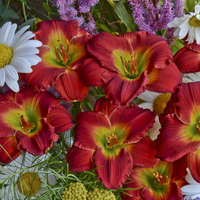 These are great to use in dried flower arrangements. Asclepias tuberosa is a prairie plant native to North America from S. Ontario and New York, west to N. Dakota, southwest to Colorado, Arizona, and New Mexico, and south to Florida (zones 3-9). 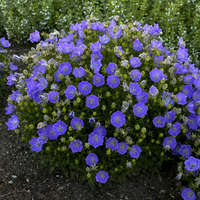 Found naturally in dry fields and on slopes, it does not require rich soil or much moisture. A full day of sun is best along with a slightly acidic, sandy-humus-loam that is well-drained (especially in winter). 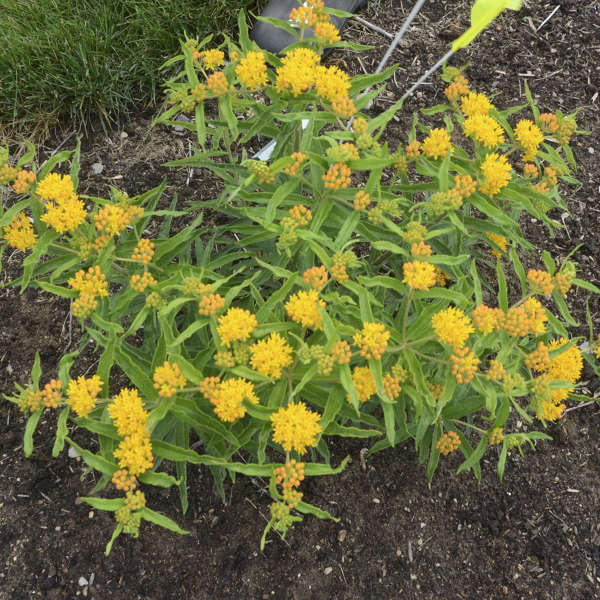 Once established, Butterfly Weed is drought-tolerant and requires little care. Though it is perfectly cold-hardy in the north, mulching plants in winter will help prevent frost-heaving. 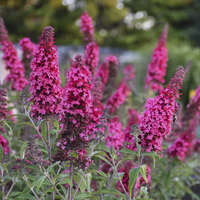 In spring, trim back last year's growth and await the beautiful new foliage which will appear quite a bit later than other perennials. 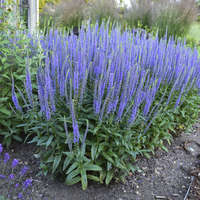 It's a good idea to grow this perennial from seed; division, though seldomly needed, is difficult because of the plant's long tap root. Fertilize at 75-100 ppm N at each watering. 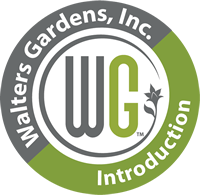 6-9 weeks of temperatures below 40° F are recommended to produce a quality flowering plant. Crown and root rot (Sclerotium), web blight and root rot (Rhizotonia), leaf spots (Phyllosticta), rust (Puccinia), Cucumber Mosaic virus (CMV). Root Trimming: Asclepias has a taproot which can be trimmed to fit the container. For bare root keep bone dry until plants break dormancy, then water evenly. 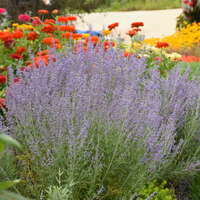 Established plants should be watered moderately then allowed to dry slightly between waterings. Plant 'high' so crown protrudes above soil line. Plants can be sheared to promote lateral branching. Asclepias requires long days (14 hours) to break dormancy. In the garden, Asclepias is very slow to break dormancy. Provide a high light and drier growing environment.